Acute breathing difficulty during swimming or diving may be associated with Immersion Pulmonary Edema (IPE). At SPUMS 2014, Peter Wilmshurst presented a summary of his rich clinical experience. In his opinion, IPE is an underestimated cause of fatalities. Problem with diagnosis of IPE in scuba diving is its rapid evolution. Divers may be overwhelmed with an internal lung flood before they realize the nature of their breathing difficulty and can safely exit the water. 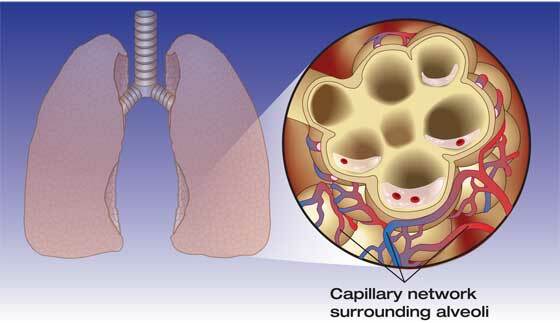 SIPE, which is also known as Immersion Pulmonary Edema, has been occasionally reported during the last two decades. It may affect scuba divers, breath-hold divers and swimmers. The incidence of SIPE is probably underestimated, because mild cases may resolve on their own and the most severe cases may be mistaken for drowning or cardiac-related death. Two recent papers present three documented and unusual cases of SIPE. In all three cases, the victims recover – some sooner, others later. Medical causes, except hypertension in the first case, could not be identified; all victims appeared to be in normal health, except for the findings of lung edema. The lesson learned is that SIPE may occur suddenly and be very severe. It can be life threatening while in water and it may require intensive care to recover. The apparently low incidence of SIPE may be due to misidentification of some fatalities as a cardiac-related death instead of SIPE. Do not struggle against a strong current; maintaining a good respiration is better than increasing the swimming effort. Always have diving or swimming buddy. Gempp E. et al. Pulmonary oedema in breath-hold diving: an unusual presentation and computed tomography findings. Diving Hyperb Med 2013; 43:162-163. Post written by: Petar Denoble, MD, D.Sc.